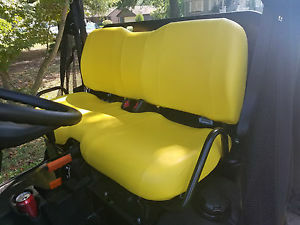 Home/PRODUCTS/AUTOMOTIVE/ATV, MOTORBIKE, UTV, MOWERS, TRACTORS, SKID STEER'S and EXCAVATORS - CANVAS SEAT & TANK COVERS/Suitable for JOHN DEERE/JOHN DEERE UTV/GATOR XUV & RSX SERIES/JOHN DEERE GATOR Bench Seat XUV550, XUV560 and XUV590 - Heavy Duty Canvas Cover. JOHN DEERE GATOR Bench Seat XUV550, XUV560 and XUV590 - Heavy Duty Canvas Cover. To fit: JOHN DEERE GATOR XUV 550/560/590. as shown below 1st image. High quality 100% manufactured in Western Australia. 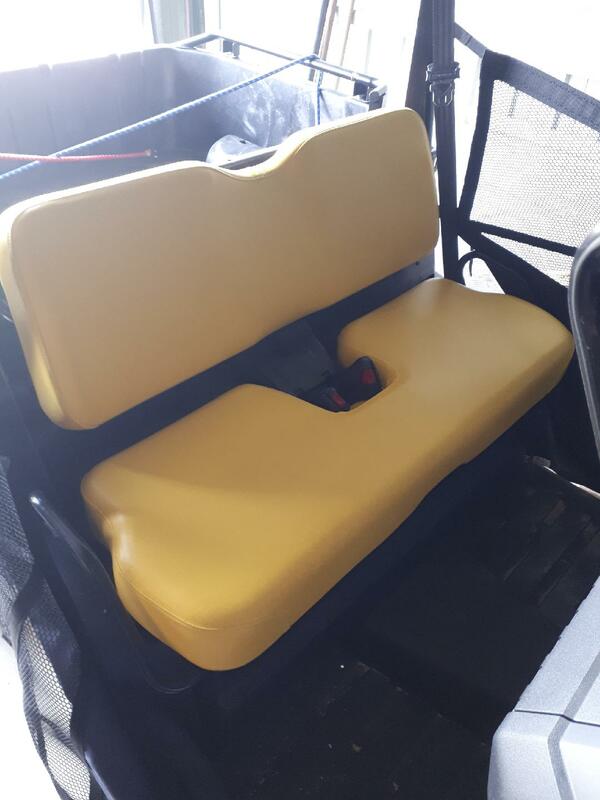 Ensure you purchase a Heavy Duty Canvas Bench Seat Cover from Miller Canvas to help increase your resale value of your JOHN DEERE or simply keep your bum dry by covering your old worn out seat.